Our Doctors are experienced in the field of anti-aging and cosmetic medicine who has been practicing cosmetic medicine and injectables for a number of years predominantly in the Sydney metropolitan area. Surgery and Obstetrics and Gynaecology. 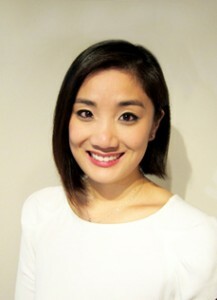 After completing internship in Dublin, she relocated to Australia to further her career. Dr Charlotte found her passion whilst working as a Plastic, Reconstructive and Hand Surgery Registrar at The Canberra Hospital. There she exceled in her surgical skills and contributed to surgical education as a tutor for the Australian National University Medical School. Despite her busy working schedule, she managed to conduct and publish researches on innovative treatments for finger injuries and hand diseases to present at conferences. In 2013, Dr Charlotte decided to enter the world of Cosmetic Surgery in Sydney, obtaining additional experience working alongside multiple renowned Plastic Surgeons. With the vast amount of clinical exposure, she has gained immense knowledge and technical skills in both surgical and non-surgical cosmetic procedures. Dr Charlotte is constantly striving for improvement and therefore during this time she has attended cosmetic diploma courses with the Academy of Cosmetic Medicine and Science. Dr Charlotte Ying is a plastic surgeon at Canberra Hospital and has seen an increase in hand injuries from workplace accidents.